Stackable - 4 high when full. 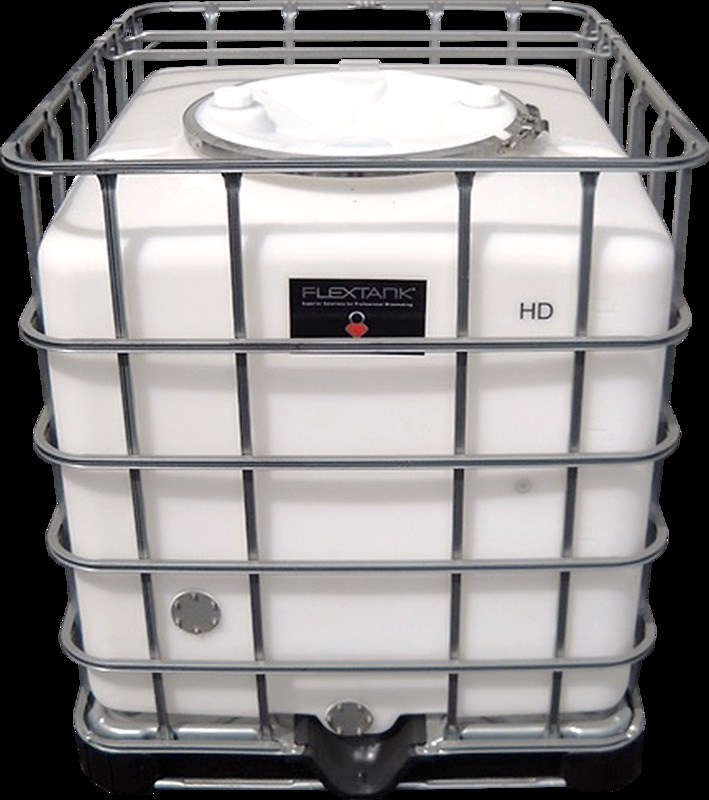 These tanks feature a stacking cage that allows convenient movement or stacking with a fork truck. The tanks may also be elevated on a fork truck to facilitate gravity racking. The 40 x 48 in. 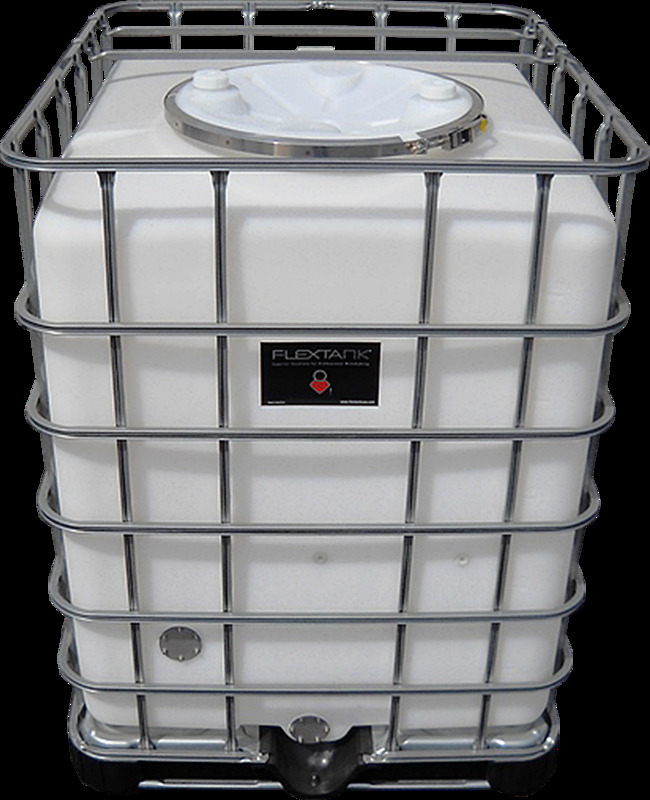 (1000 x1200 mm) footprint and 4 high stacking allows for the equivalent of 8 barrels of wine to be stored in 40x48 square inches of floor space. These tanks can be used and intermixed with our current 240 and 300 stackers. In the typical winery situation storage is at least twice as space efficient with these tanks compared with stacked barrels. Stackable - 3 high when full. Space Efficient with Lower Cellar Height Ceilings. 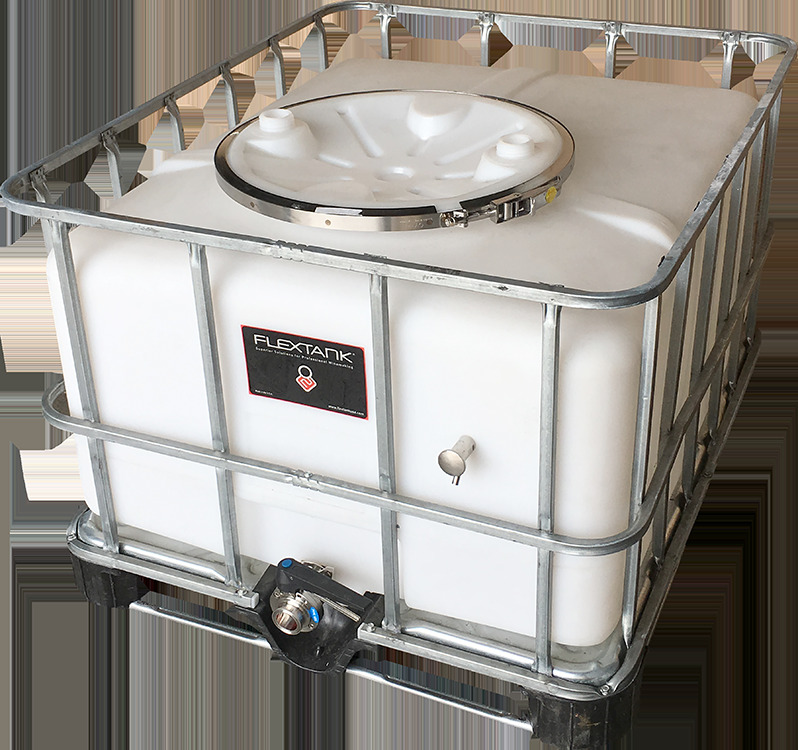 The 48" x 40" (1000 x1200 mm) footprint and 3 high stacking allows the equivalent of 15 barrels of wine to be stored in just 13.3 sq. ft. or 1.2 sq. m. In the typical winery situation storage is at least twice as space efficient with these tanks compared with stacked barrels. The 40 x 48 in. (1000 x1200 mm) footprint and 3 high stacking allows the equivalent of 15 barrels of wine to be stored in just 13.3 sq. ft. or 1.2 sq. m. In the typical winery situation storage is at least twice as space efficient with these tanks compared with stacked barrels. RP2VF - Racking Port Kit 2.0 in. with VF Fitting exits at 1.5"